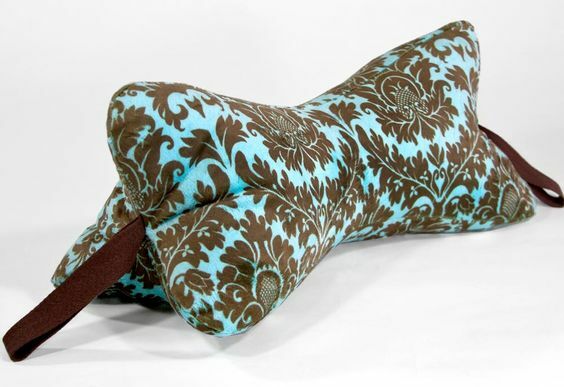 Everyone needs a bit of relaxation and this little shaped pillow certainly help. Stuffed with soft fiberfill, this pillow will cradle the neck and head in softness and supported comfort. Add a touch of scent with the addition of herbs like lavender. Bring your sewing machine and basic sewing tools. You may purchase a pillow kit or bring 1/2 yd fabric 45″ wide (home dec fabric works well) andmatching thread. This is a quick and fun project – all done with hand sewing. You can use a sewing machine but you will lose the charming hand-stitched look. Make one for everyone you know and don’t forget about yourself. 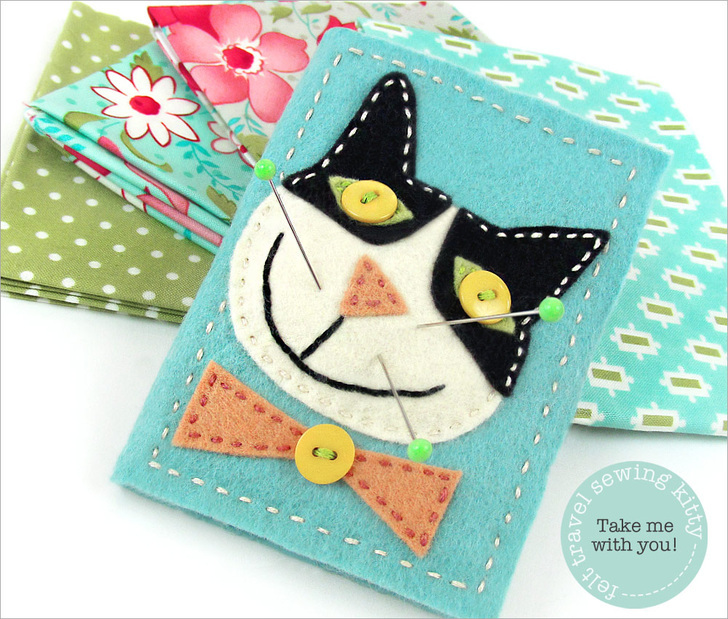 Bring basic sewing tools and hand embroidery needles. 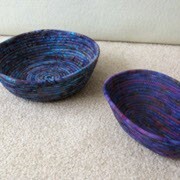 Learn to create a coiled fabric basket, bowl or trivet of fabric-coiled (NOT wrapped) clothesline rope. Create these quick and easy containers in a very short amount of time. Fabric can be scraps or coordinated or gradated colors. Batiks and tightly woven fabrics work best. Confused by all of the options? Don’t know which to pick? Why use stabilizer in the first place? Attend this seminar and put all of your fears to rest…well, most of them anyway. The basic use of machine embroidery stabilizer will be covered using Sulky stabilizer as our reference. 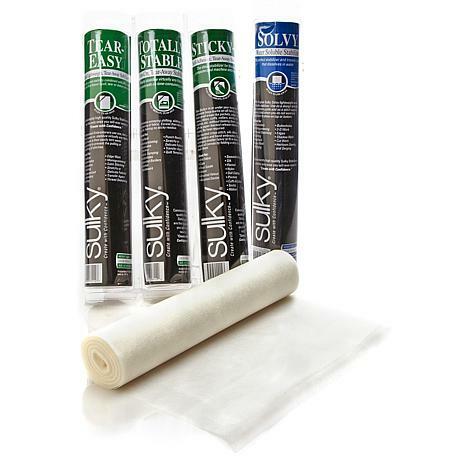 Class attendees will receive a Sulky stabilizer sampler which has 8″ x 10″ samples of each type available. Taught by Barbara Bailey, Sulky Certified Teacher. During this two day class, you will create a beautiful wall hanging you will be proud to claim as your own. A variety of techniques will be used including but not limited to: crayon art, artistic use of fabric snippets, 2-color binding, and a bit of free motion quilting. You will be amazed at the artist who lives within you! Bring your sewing machine and basic sewing tools. Instructor: Barbara Bailey, Sulky Certified Teacher.